The GO Transit expansion will bring more train trips to every GO rail corridor making it faster and easier for Whitby residents to travel throughout the GTHA and surrounding communities. 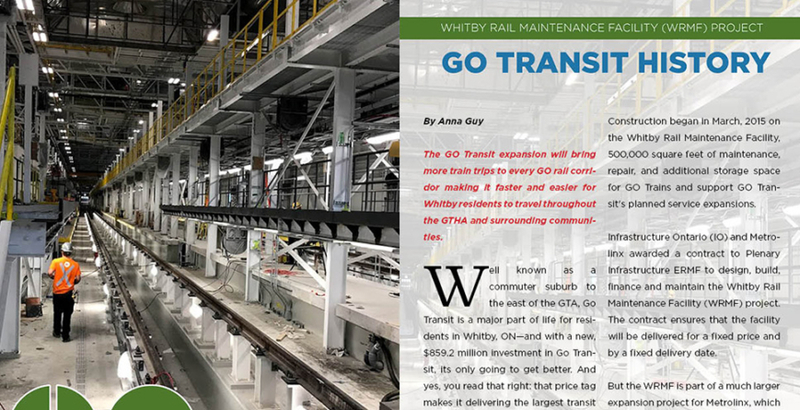 Well known as a commuter suburb to the east of the GTA, Go Transit is a major part of life for residents in Whitby, ON—and with a new, $859.2 million investment in Go Transit, its only going to get better. 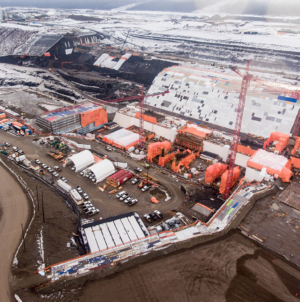 And yes, you read that right: that price tag makes it delivering the largest transit infrastructure program in Canadian history. 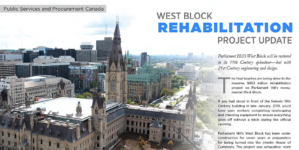 Construction began in March, 2015 on the Whitby Rail Maintenance Facility, 500,000 square feet of maintenance, repair, and additional storage space for GO Trains and support GO Transit’s planned service expansions. 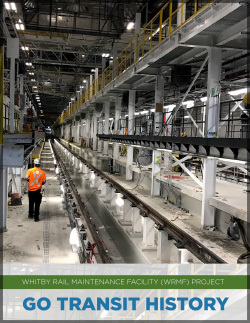 Infrastructure Ontario (IO) and Metrolinx awarded a contract to Plenary Infrastructure ERMF to design, build, finance and maintain the Whitby Rail Maintenance Facility (WRMF) project. The contract ensures that the facility will be delivered for a fixed price and by a fixed delivery date. But the WRMF is part of a much larger expansion project for Metrolinx, which has designed an ambitious plan to transform the existing GO rail system to provide four times the number of trips outside of weekday rush-hour periods, including evenings and weekends, twice the number of trips during weekday rush-hour periods, and line extensions to new communities. “The Whitby Rail Maintenance Facility will also alleviate the work that is being undertaken by the Rail Maintenance Facility at Willowbrook; a second facility allows GO Transit to provide operational flexibility under emergency situations to ensure reliable transit service,” says Nitish Bissonauth, Metrolinx Spokesperson. “The Whitby Rail Maintenance Facility will also ensure that we can support the biggest expansion in GO’s history,” continues Bissonauth. “We’re working towards two-way, all-day transit with 15-minute service or better within the most heavily traveled Metrolinx-owned rail corridors. We’re planning twice the train trips during rush hour, and four times the number of train trips outside of rush hour and on weekends. Currently there is only one GO Train maintenance facility for the whole system, located in Etobicoke. 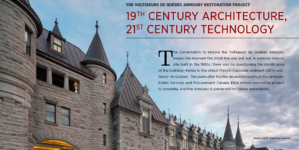 Benefits for the community were felt immediately and extend beyond transportation. 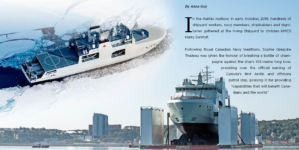 The development of this facility will create jobs and help make the transportation system in the Greater Toronto and Hamilton Area (GTHA) more reliable. The company selected for the Whitby Rail Maintenance Facility will provide design and construction elements to pursue LEED® Gold or greater designation by incorporating sustainable practices in its design and construction plans. The WRMF will allow GO Transit to provide more GO rail service to the Greater Golden Horseshoe Area. 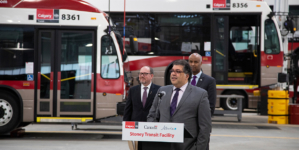 The facility will provide the region with more GO service with improved convenience with two-way, all-day transit, twice the number of peak trips, and four times the number of off-peak and weekend trips.